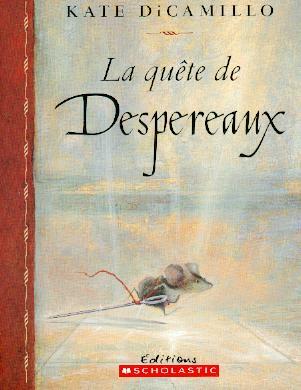 It’s kind of a big deal for me to up my reading game by taking on a children’s book translated into French. I am working at incorporating more French into my day and reading is a great way to use my brain and challenge myself. I lay down under the fruit trees in our little orchard today, the sun beating down, with my book and my French dictionary from 1995 (pocketsized) and tried to get through a few chapters. It’s fun to look up the words I don’t know but also good to plow along trying to get the general gist of the story. I haven’t seen the movie, or read the book in English and this the first attempt for me at longer fiction. Hip hip hooray! I can understand that this mouse has fallen in love with a human, breaking the cardinal rule in the mouse community. He loves light, especially sunlight through the stained glass windows and thinks it smells like honey.